Note: This page is for informational purposes only. As of March 7, 2019, the Google+ API has been shutdown and is no longer accessible. For more details, please see Google's announcement here. Google+ (or Google Plus) is Google’s own social network. Most content marketing campaigns should include Google+, along with other prominent social networks, in their strategy. Tracking your Google+ campaigns, often in comparison to your other social networks, is therefore important in order to optimize your budget allocation. With our Google+ dashboard software, you can see what content is generating engagement, and how to improve your tactics to get the most traffic. Create your Google+ dashboard today! 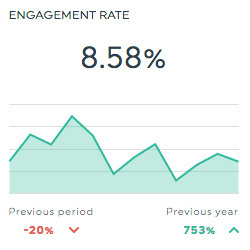 This historic widget shows the percentage of your followers that have engaged with your Google+ content. This is calculated by dividing the total number of interactions by your number of followers, and multiplying the result by 100. This number widget shows your number of Google+ followers. This historic widget shows the number of comments that each of your posts have received from your followers. 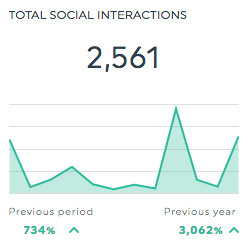 This historic widget shows the total number of interactions your content has received; these interactions are defined as anything from likes, shares, and comments. Want to see all our Google+ preset widgets? 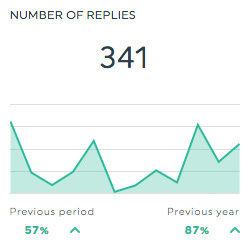 This is the number of comments your content received. This is the percentage of your followers who interact with your content. 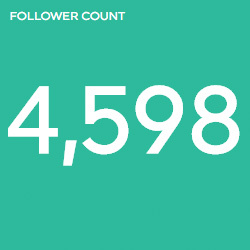 It is calculated by dividing the number of interaction by the number of followers, and multiplying the result by 100. This is the number of followers your Google+ account has. This is the number of likes your content received. This is the total number of times your content was shared. This is the number of social interactions your content received; these interactions are defined as anything from likes, shares, and comments. Want to see all our Google+ metrics, segments & dimensions? How do I create a dashboard using Google+?